Advocates of open source software have criticised the BBC over its on-demand plans. The Open Source Consortium (OSC) has said "the plans are anti-competitive and will use public money to lock viewers into the technologies of a repeatedly convicted monopolist." The proposed iPlayer uses Microsoft DRM (digital rights management) in the technology behind it. However, the OSC seems to believe the player will only be available for Windows. "Our members are competing hard in a fast-moving market and winning new customers every day," said OSC Chief Executive, Iain Roberts. "Seeing their licence fees going to advertise one of their largest competitors is not acceptable, especially from the BBC which has a duty to be unbiased. We want the BBC to reject any moves that restrict consumer choice." But the report published by the BBC Trust last week does state the software should adopt "a platform-agnostic approach within a reasonable timeframe." The situation could be simply remedied with different versions of the player for different platforms. Indeed, it's likely the BBC will have been working on this anyway - an iPlayer that only works on Windows PCs would have come under intense fire from both Ofcom - which has already expressed concern about the BBC's plans - and the corporation's competitors. It certainly seems the OSC is worried about the close ties between Microsoft and the BBC. The organisation signed a deal with Microsoft in September 2006 to "explore ways of developing its digital services." 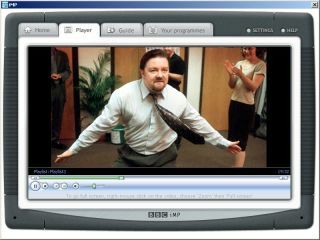 The DRM technology is used because programmes will only be be viewable for a certain time period - 30 days after being downloaded, or seven days after being watched.